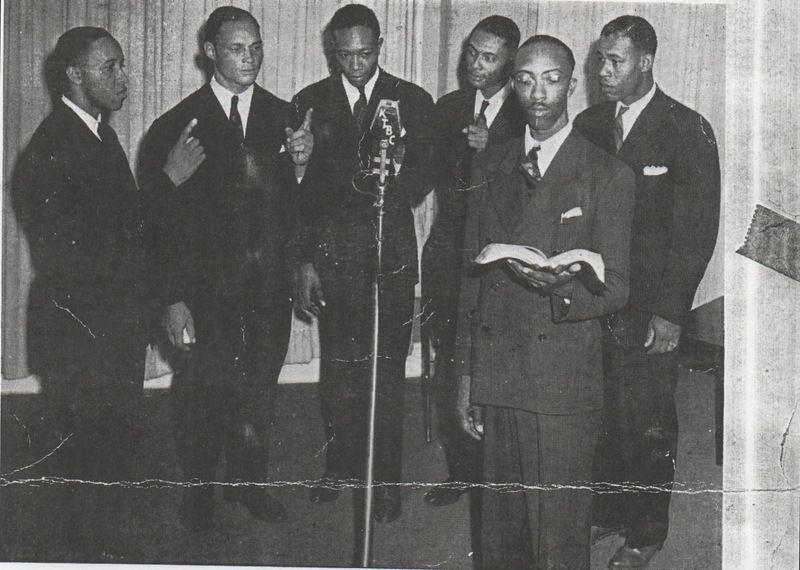 The close-knit Austin gospel community lost its beloved uncle this week when A.C. Franklin, who co-founded the Paramount Singers with his brother E.M. Franklin in 1936, died of heart failure at age 86. The longtime pastor, a guiding light for Austin’s first family of gospel, died in his sleep Tuesday at Heritage Park Nursing Home. The 13th of 17 children raised by a porter and his wife near Pilot Knob in Southeast Travis County, Franklin is best remembered as the vibrant, dapper “Uncle Koot,” who was known to “wreck a house” with his passionate sermonizing and then move the throngs to tears as he sang his signature tune, “Yes, God Is Real.” One of his proudest moments was when he preached alongside the Rev. Martin Luther King Jr. at Victory Baptist Church in Los Angeles in 1968. When Franklin cut down his performance schedule to concentrate on the pulpit, he relished the mentor role. “Reverend Franklin was sort of a father figure to the Mighty Clouds of Joy,” said Joe Ligon of Beaumont, who formed the Clouds with Franklin ‘s nephews, Elmo and Junior Franklin, in 1955. When older brother E.M., the well-respected pastor at St. James Baptist Church for 39 years, died in 1992, Franklin became the last surviving child of Ananias and Callie Franklin. As such, the man with no children of his own became the patriarch of a family known for its songs and its prayers. Barbara, who went from the choir to a long stint as one of Ray Charles’ Raelettes . Named after the Paramount Theatre, which they couldn’t even enter because of segregation, Franklin’s a cappella group had a radio show on KTBC for five years and recorded for the Library of Congress in 1941. “We loved to look up at that Paramount Theatre marquee,” Franklin told musicologist Clay Shorkey in a 1987 interview. “But after a few minutes a policeman would come by with a billy club and tell us to move along to the Ritz,” Austin’s “colored” theater of the time . World War II broke up the Paramounts when original members Kermit and Geno Terrell were drafted . Upon returning, the Terrell s settled in San Francisco and, along with James Haywood Medlock, restarted the Paramounts. When the Franklins decided to remain pastors of their churches — A.C. in Los Angeles and E.M. in Austin — the Paramounts recruited Austinites Sam Reece and Victor L. Medearis. After three decades in Los Angeles, A.C. and his wife, Johnie May Franklin, returned to Austin in 1974. Back in the town where the Franklin surname stood for gospel, A.C. worked at several jobs, including as a clerk at the state Supreme Court, but his true calling was preaching. Franklin’s last stint as a pastor was at the Highbank Zion Rock Missionary Baptist Church east of Temple, which required a 224-mile round trip journey every Sunday. He retired in 1996 when his health became a concern. As evidenced by the lineup of local acts that will sing at his wake tonight at 7 at St. James Baptist Church at 1812 E.M. Franklin Ave., Franklin’s family extended to the entire East Austin gospel community. Besides the Bells of Joy, who rivaled the Paramount Singers as Austin’s top quartet, those sending Franklin home with a song will include Voices of Faith, Gospel Stars, Tiffany and the Gospel Motions and the Joyfulettes. A.C. Franklin was buried at Evergreen Cemetery next to his wife of almost 60 years.